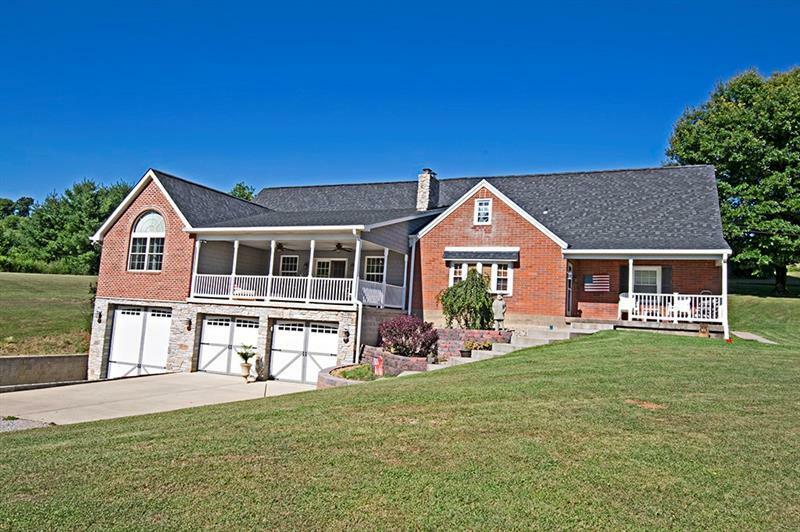 Country living at its finest situated on 16 rolling beautiful scenic acres of wooded and pasture land! Wonderfully maintained and updated 6 bdrm home exudes comfort & style throughout. 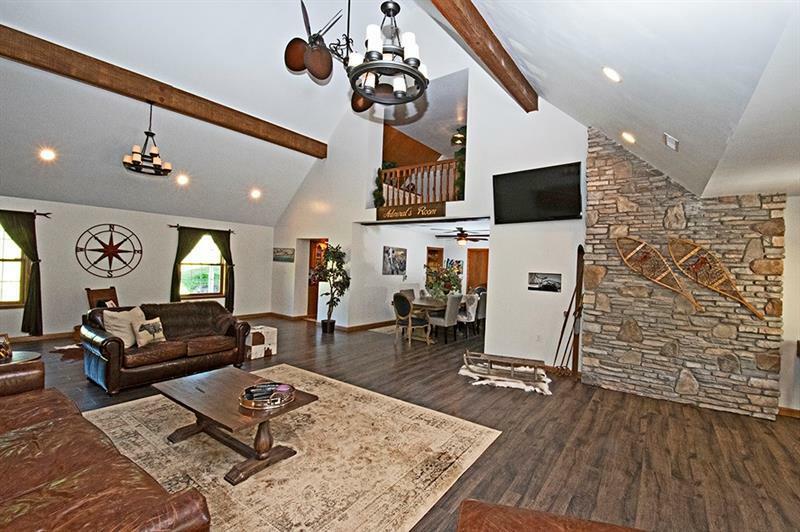 The family room has a stacked stone feature wall, soaring cathedral ceiling with stunning wood beams, paddle fans & 9 light chandeliers. 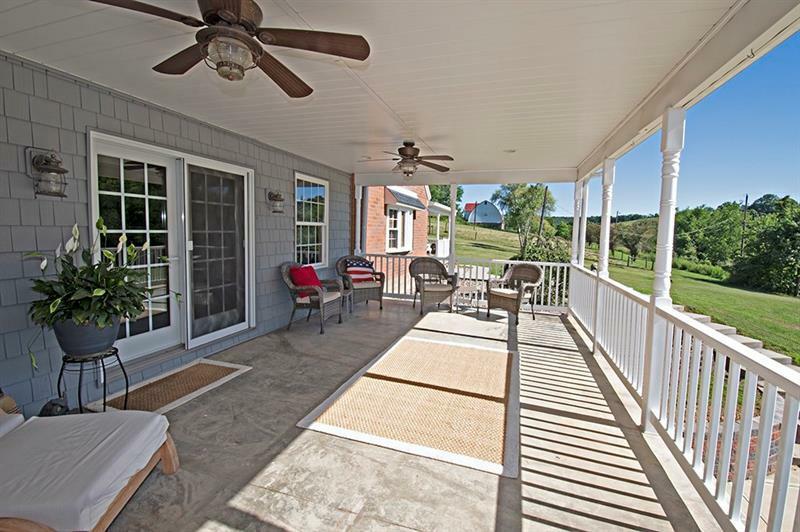 Steps away is one of the 2 Front Porches to enjoy the outdoors. 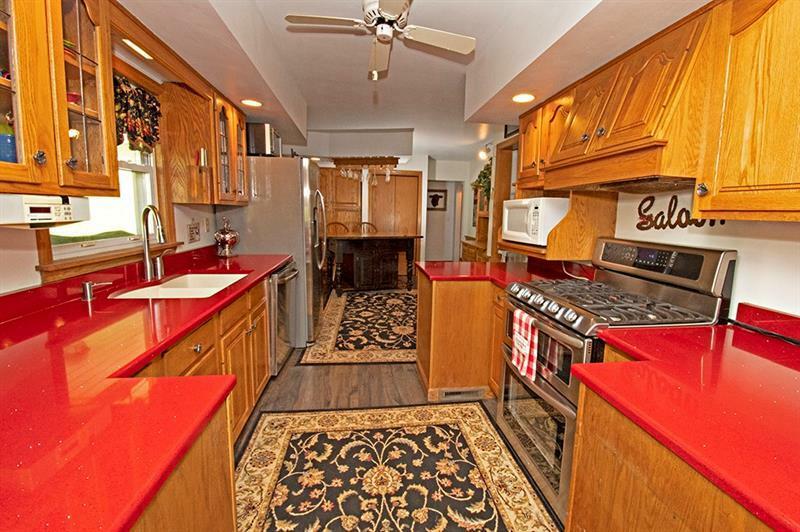 Plenty of oak cabinets and work space in the cheery Kitchen that boasts stainless appliances and quartz countertops. Living Room/Den has a stone wood burning fireplace and beautiful bay window. First floor master suite with walk-in Roman shower & hand hammered copper soaking tub along with His & Her vanities. 2 more bdrms on the main level.3 additional bedrooms are centered around a loft area on the 2nd floor. There is an abundance of closet and storage space throughout the home. 60x40 Clear Span Tongue & Groove Barn with Red metal roof for all your equipment. Large pond near barn. Mint condition property!